To prepare a Master Plan for the riverfront area and develop landscape architecture and urban design plans for the project’s common areas. To design and construct hardscape /softscape areas adjacent to the American Eagle building geared as appropriate to both public and private exterior spaces. 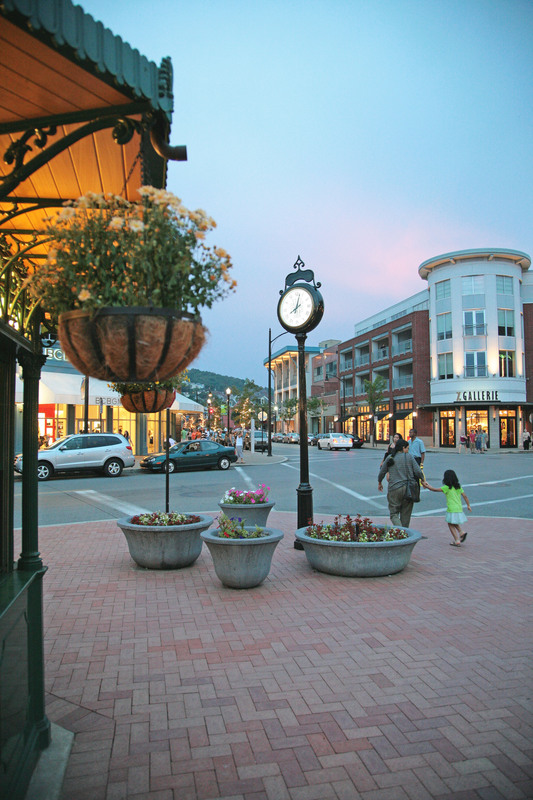 EPD is the site planner and landscape architect of record for the Soffer Organization’s SouthSide Works development located in Pittsburgh, PA. The SouthSide Works mixed-use development project, a 130-acre brownfield project located along the Monongahela River, includes over 1.75-miles of new urban streets. 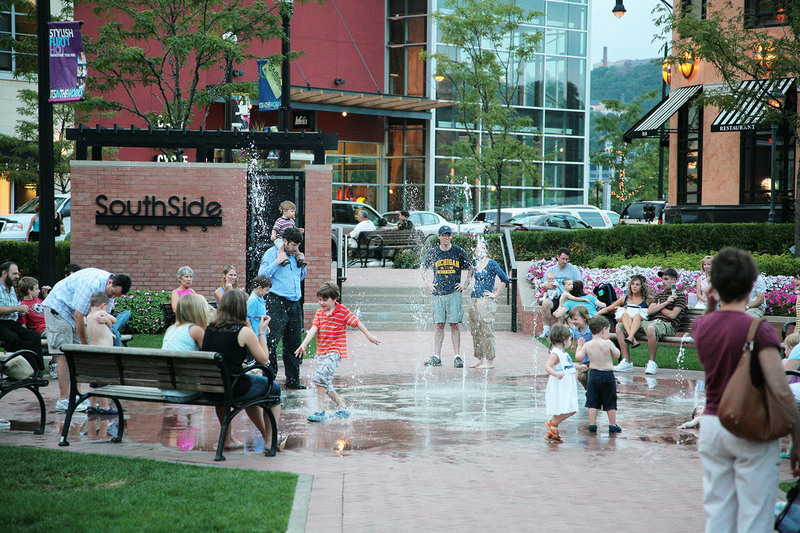 The SouthSide Works was an Urban Land Institute Award of Excellence finalist in 2002. 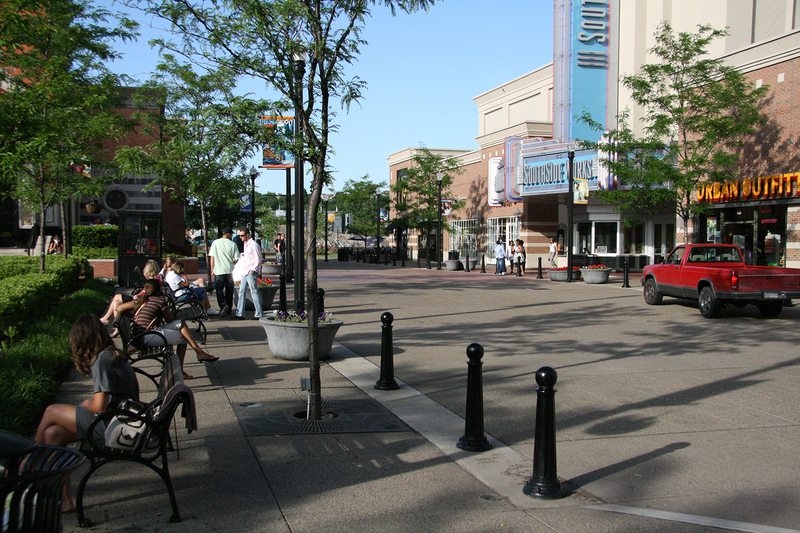 The SouthSide Works street network is an extension of the surrounding neighborhood grid and incorporates key design features such as rear loading areas and on-street parking to maintain a seamless and “clutter-free” streetscape. The East Carson Street corridor accommodates a wider road with minimal impact on the constructed public pedestrian spaces. This was achieved through the use of a paving joint design for easy demolition. Furthermore, Cinema Drive was designed to be at grade with the surrounding sidewalks and can act as a ‘public plaza’ during special events. 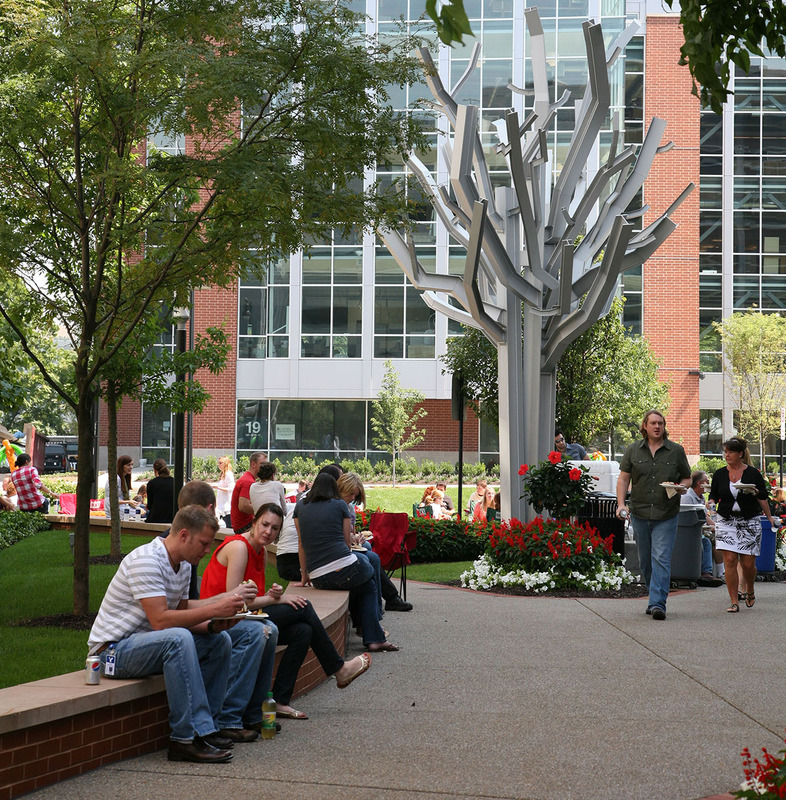 The streetscape design was coordinated with the City’s Departments of City Planning, Public Works, and Engineering and Construction and introduced the first curbless street in the City of Pittsburgh. The design transformed a busy vehicular thoroughfare into a pedestrian plaza with low-speed automobile traffic. EPD designed a series of streetscape and public plazas for the Quantum One, Two and Three office buildings located within South Side Works. Quantum One is operated by the Soffer Organization; Quantum Two and Three are owned and operated by American Eagle Outfitters, one of the nation’s largest clothing retailer. EPD performed a series of conceptual designs analyzing issues such as: pedestrian movements, shadow patterns, building massing, handicap accessibility, outdoor gathering spaces, landscape design, service/maintenance access and site amenities. Finally, EPD was responsible for developing the project’s detailed construction documents and specifications for the development’s streetscapes and public plazas. Responsibilities included surface drainage, lighting, project layout, material selection, landscaping, site amenity selection, and custom detailed site element design. In addition, the firm completed construction administration and observation.